Give your precious collection the home it deserves. 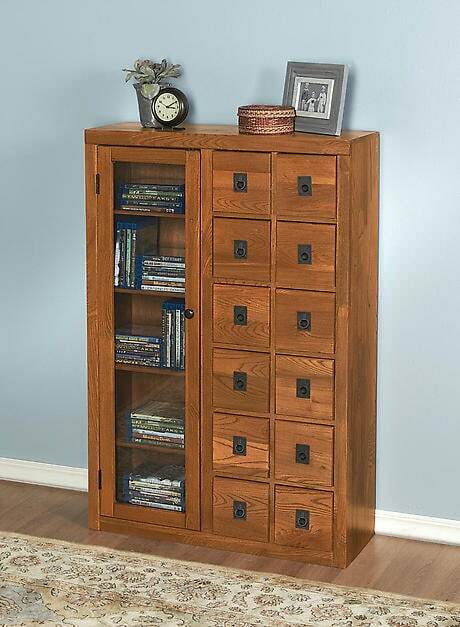 Built from solid oak with dovetail joints, heavy-duty hinges, and a hand-rubbed lacquer finish, handcrafted cabinet holds up to 393 CDs, 184 DVDs, or a combination. 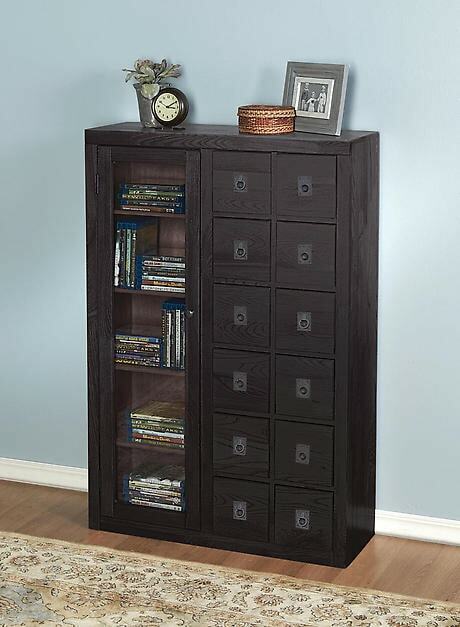 Glass door, four adjustable shelves, 12 apothecary style drawers. Arrives fully assembled. 28" x 41"h x 9 1/2"d. Specify Oak or Espresso finish. Allow 2-3 weeks. No rush or express delivery available for this item. Item can only be shipped within the Continental US. Extra shipping charges for this item: $+14.95.